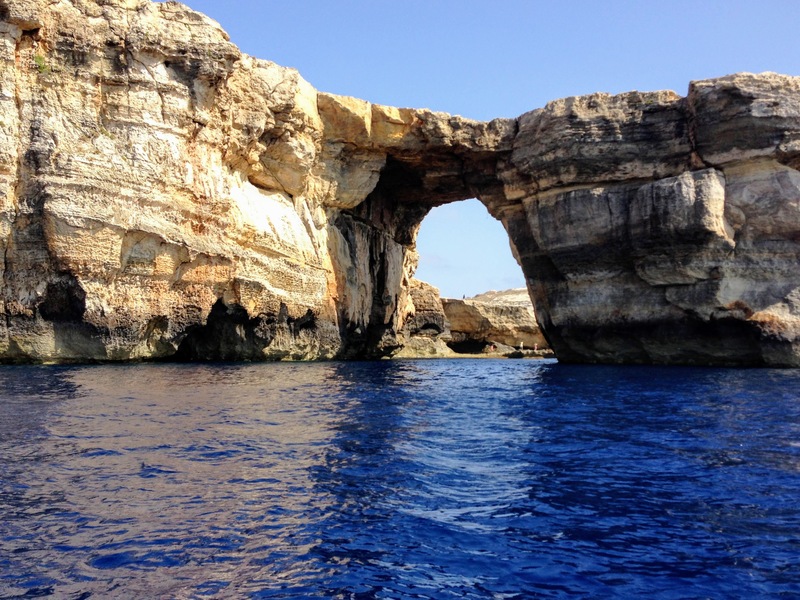 The Maltese Islands have a more than 7000 years long and very colourful history. 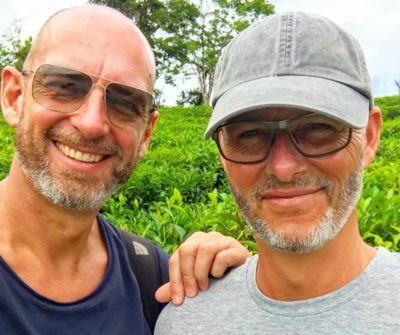 The islands have been conquered over and over again and nowadays you will find evidence of this incredible historical heritage wherever you go on these sun-drenched islands. You will find ancient temples, castles and fortresses one larger, more beautiful and breathtaking than the other. We dropped our jaws more than once. 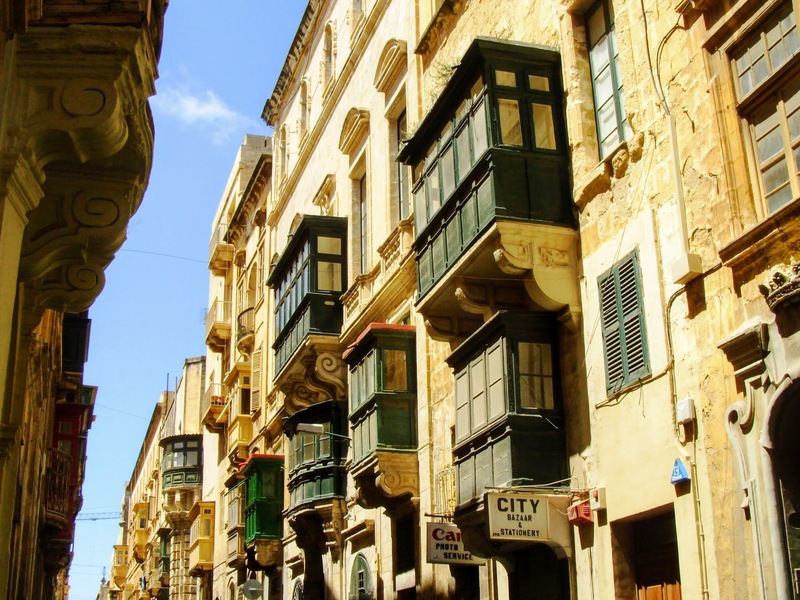 Typical wood and glass balconies, bay windows, are seen in many of the older grand buildings in Valletta. Nowadays many of them are in a very bad shape as the art, of making these beautiful attachments to the houses, is a dying profession. But there is so much more to Malta than history. When your hunger for ancient history and prehistoric sights has been satisfied, head for the beach. There are so many to choose from and they are all easily accessible by public bus. The bus tickets are cheap, buses are frequent and the network is ramified so no need for a rental car. 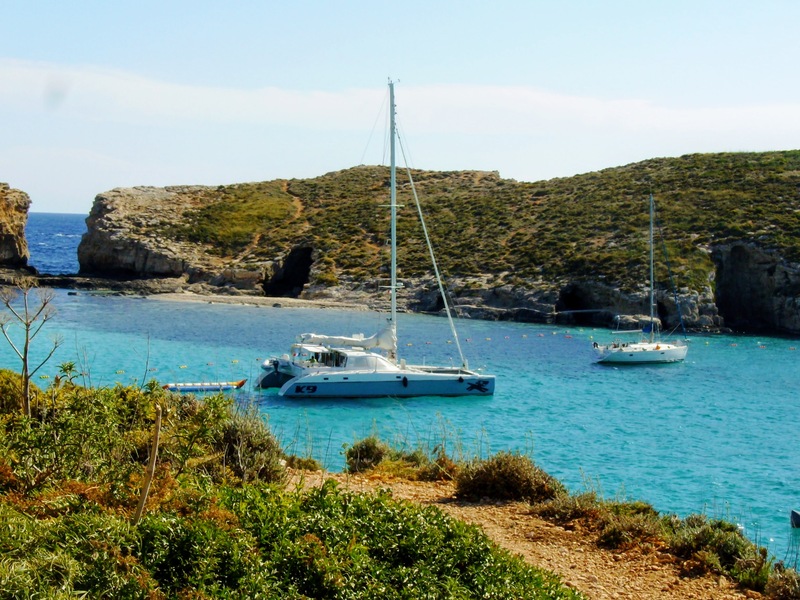 The Maltese islands offer a large variety of wonderful beaches. 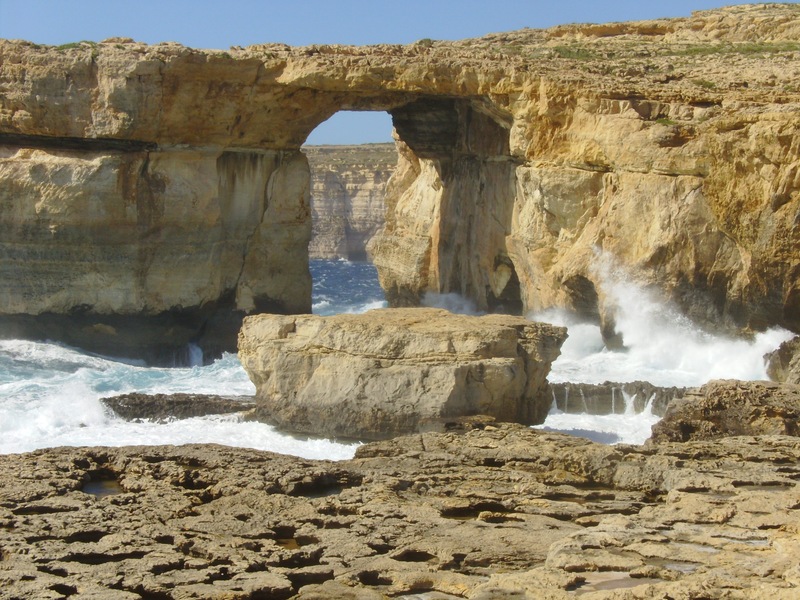 Ranging from the long sandy beach in Mellieha in the north to St. Peter’s natural pool in the south. And remember to bring your snorkel. The water is generally crystal clear and underwater life is fantastic. Our insider tip regarding snorkelling must be the north coast next to The Ramla Resort and for lazy beach days, our top pick has to be Mambo’s Beach Club at Armier Bay in the far north. 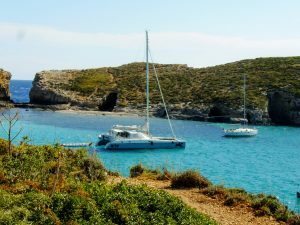 The Blue Lagoon on the small island of Comino is another hotspot. We don’t think that you will find seawater more alluring than here. The aquamarine water attracts you like a magnet. The beautiful Lagoon is very popular and especially during high season the narrow white sand beaches and cliffs are packed with day-trippers. Try to go late afternoon when the crowds have returned to Malta and you will find yourself in an incredible postcard-like paradise. 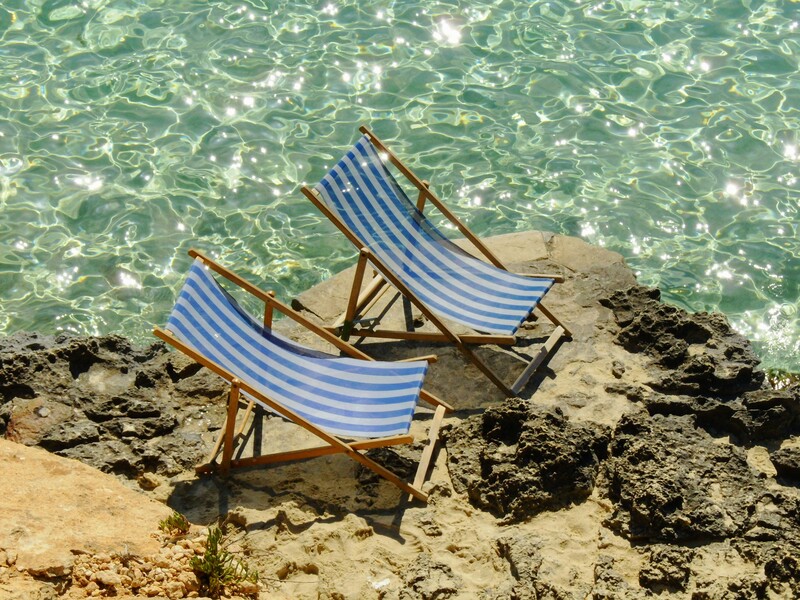 If you can tear yourself away from your sunbed at your favourite beach………quite a challenge, we think, then you will find amazing towns lying next to each other like pearls on a string. This amazing capital was named by the Order of Saint John. 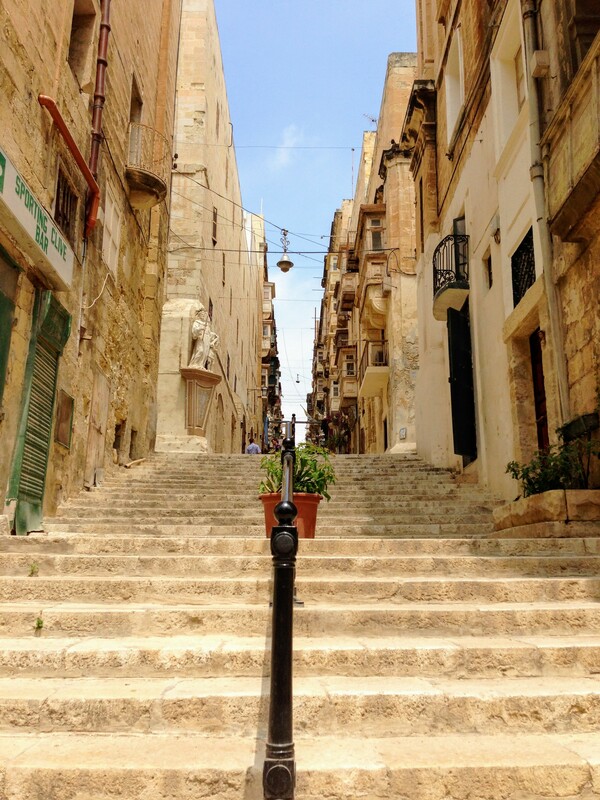 They named it ” Humilissima Civitas Valletta “, which means Valletta the humble town. But there is nothing humble about this absolutely overwhelming beautiful old city. The city pulled the rug out from under us, took our breath away and made us fall in love with it in an instant. 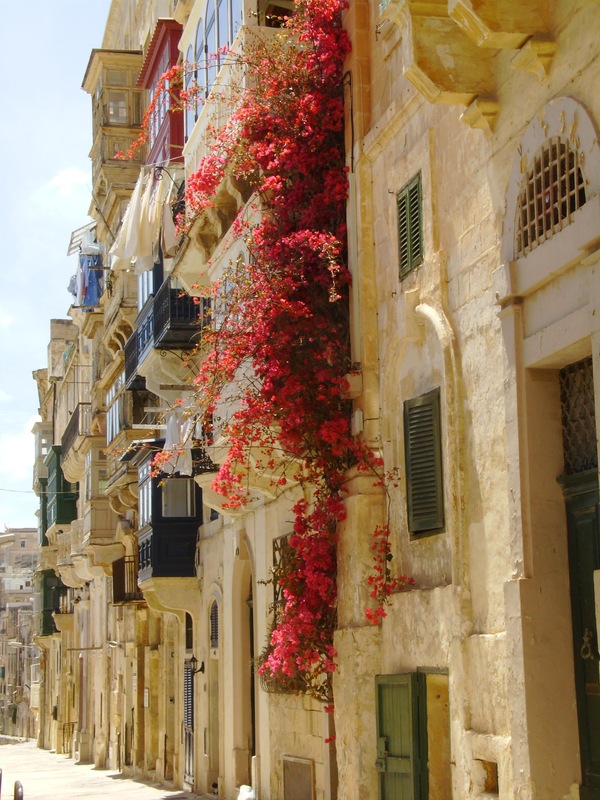 In 1980 Valletta was declared a UNESCO World Heritage Site and we do get why. 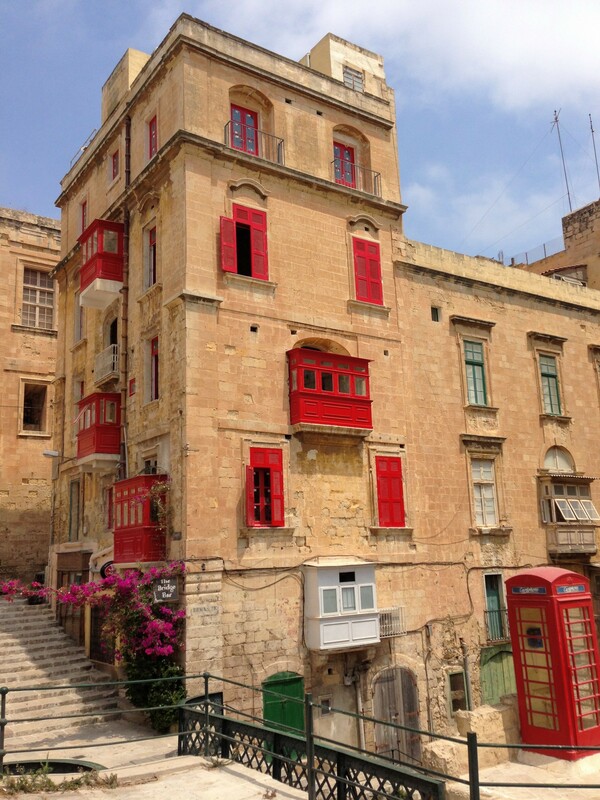 Valletta was designed and built by the Order of Saint John around 1566 and is mostly built in the characteristic Maltese yellow limestone. 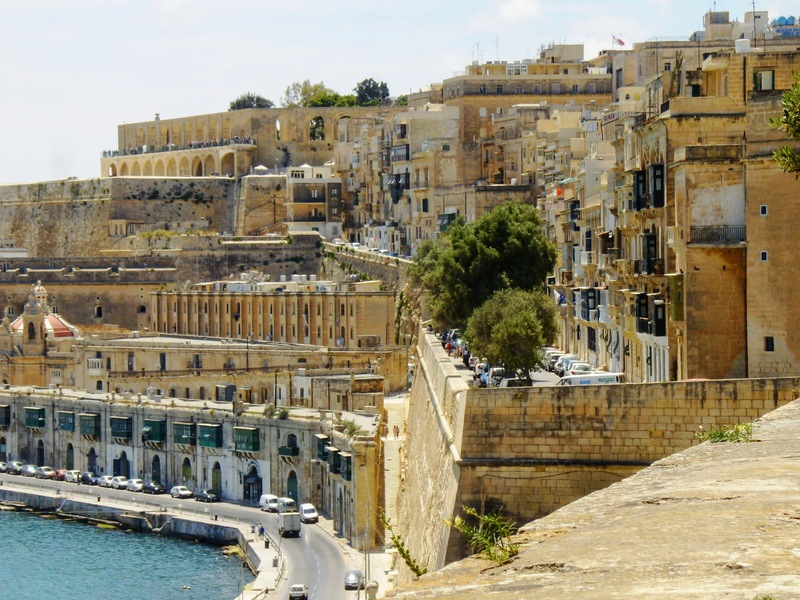 Valletta was originally built as a fortress and the construction was funded by several European countries. The result was a unique city in Baroque style. 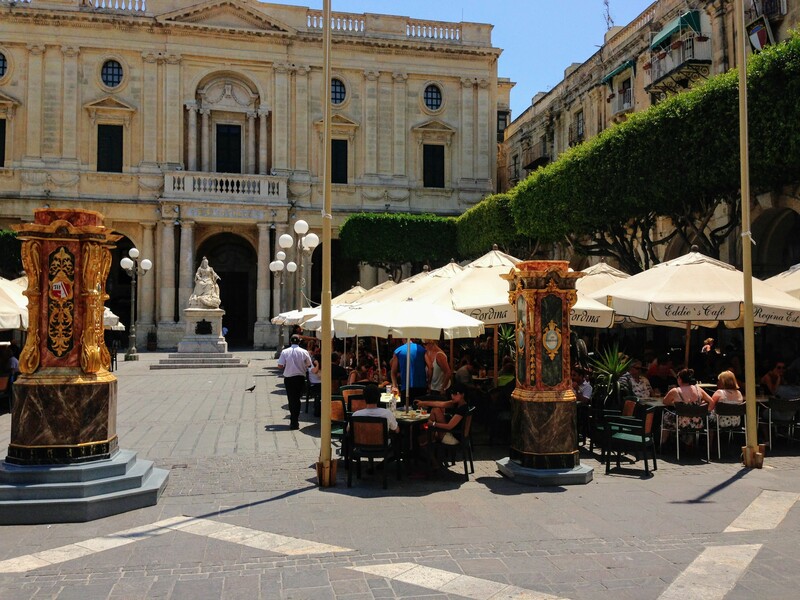 Nowadays there are only a few places in the world where you will find as much Baroque architecture as in Valletta. Valletta is one of the smallest capitals in Europe and the best way to explore the city is on foot. You never know what awaits you around the next corner. 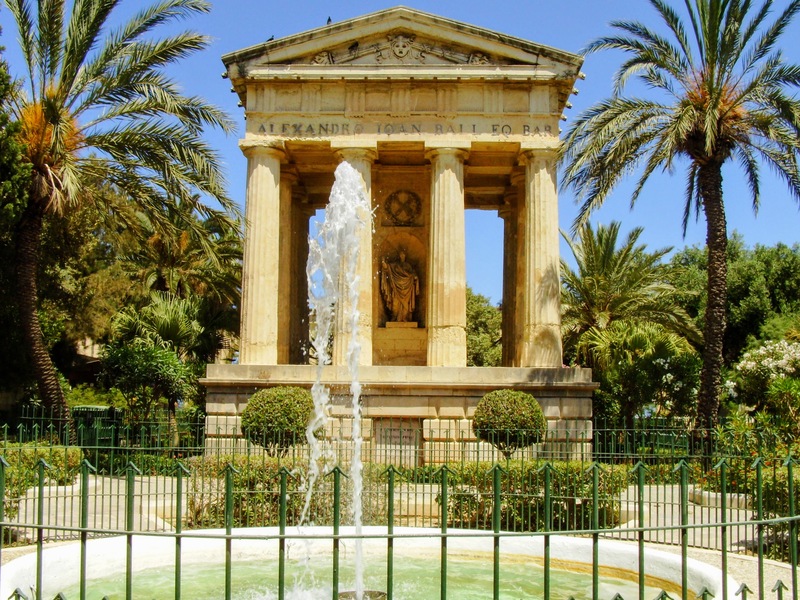 One of our top picks to Valletta has to be the Upper Barrakka Gardens. 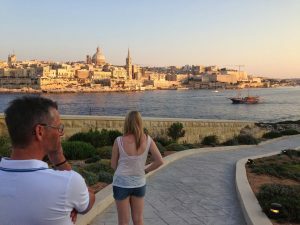 The gardens are built on top of St. Peter and Paul Bastion, the highest point of the city wall, and from here you have a unique panoramic view over Valletta’s natural harbour, the historic Grand Harbor. 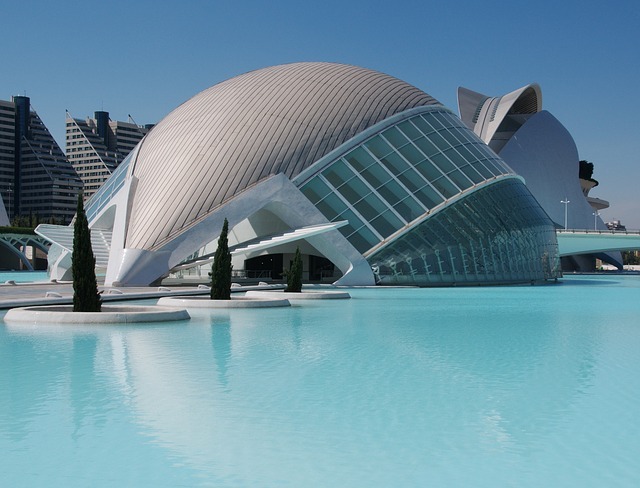 And grand it is and one of Europe’s best preserved natural harbours. 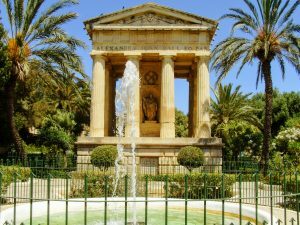 A Malta holiday also has to include a visit to Mdina. One of the smallest, most compact and best preserved medieval cities in the world. This small town is very beautiful but what’s most fascinating is the silence. 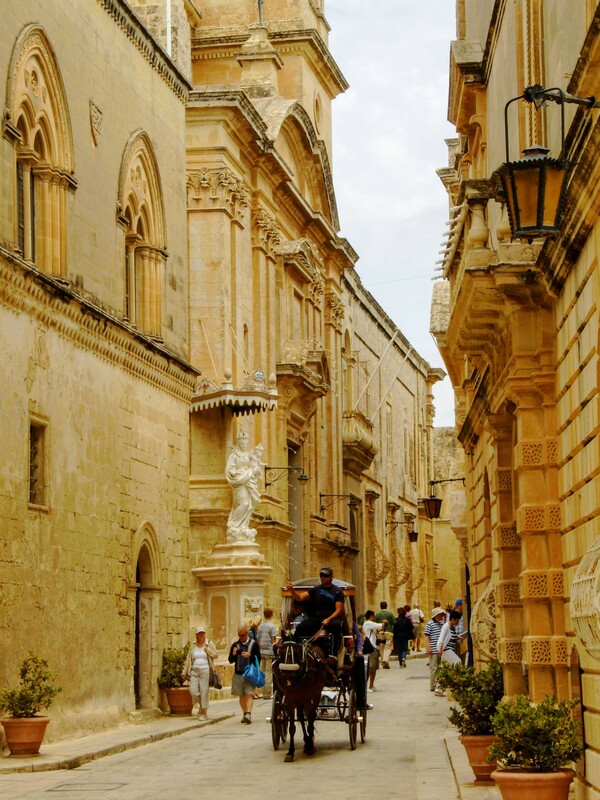 Mdina is also known as the Silent City. No cars are allowed inside the city walls and small signs on the city’s buildings remind you to be silent. The silence gives Medina a very special atmosphere. When in Mdina do go visit Fontanella tea garden and try one of their yummy cakes. The cafe has Malta’s absolutely best view and if you combine that with a piece of their Casatella cake you will find yourself a bit closer to heaven. If you find yourself on Malta on a Sunday try to visit the charming fishing village of Marsaxlokk. 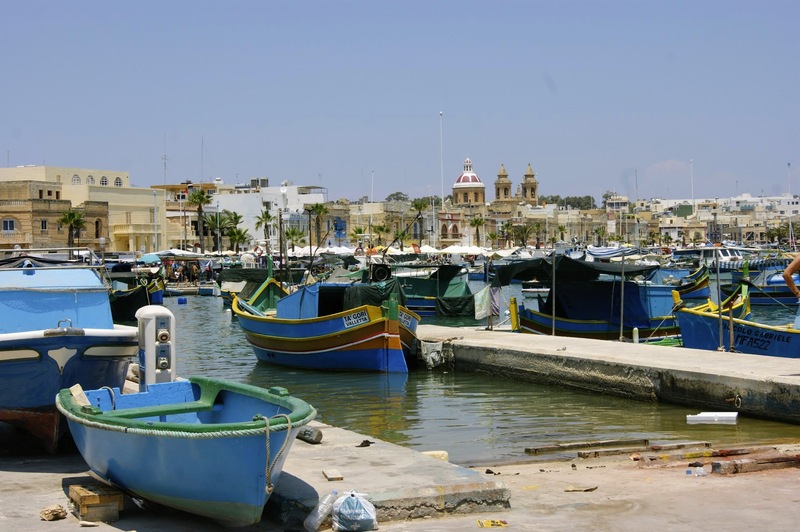 The town is known for its big Sunday fish market and for its Luzzus, small decorative painted boats bobbing on the waves in the bay. 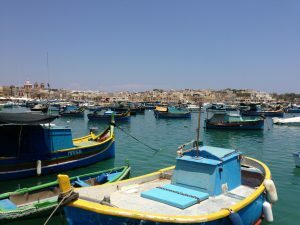 The major part of Malta’s fishing fleet is based here. 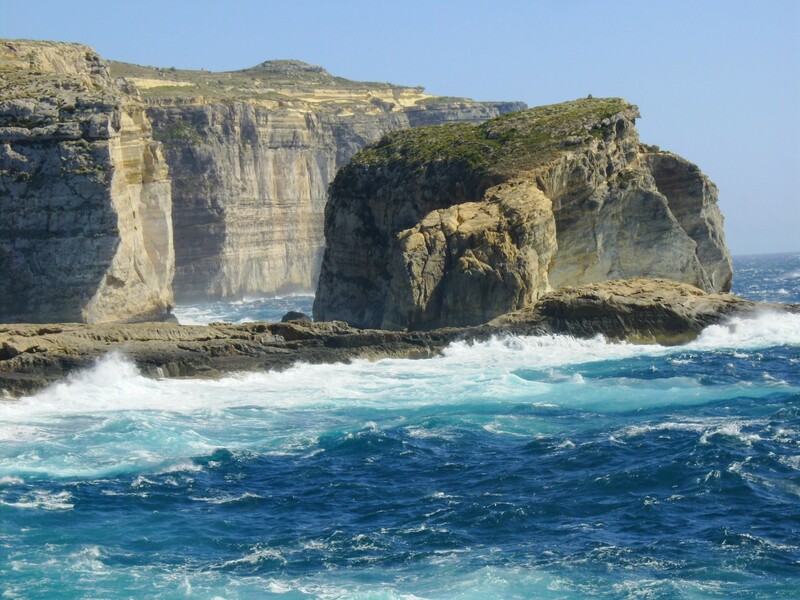 When on Malta we find that a trip to neighbouring island Gozo should be mandatory. We love this little island gem. 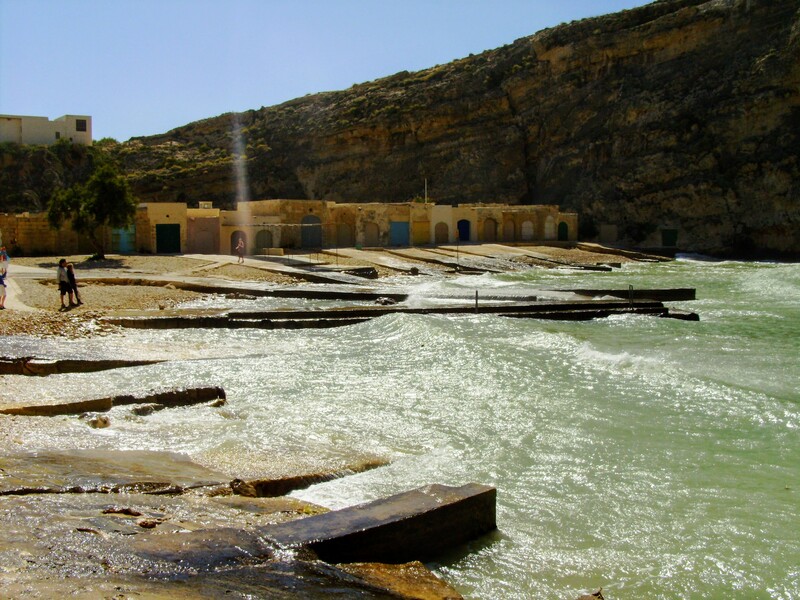 The main town, Victoria, is a pleasant acquaintance with its Baroque cathedral and the citadel but what really fascinated us was Dwejra Bay. A spectacular natural wonder. The Ramla Bay Resort is a huge jet lovely hotel, resort style, in the far north of Malta. 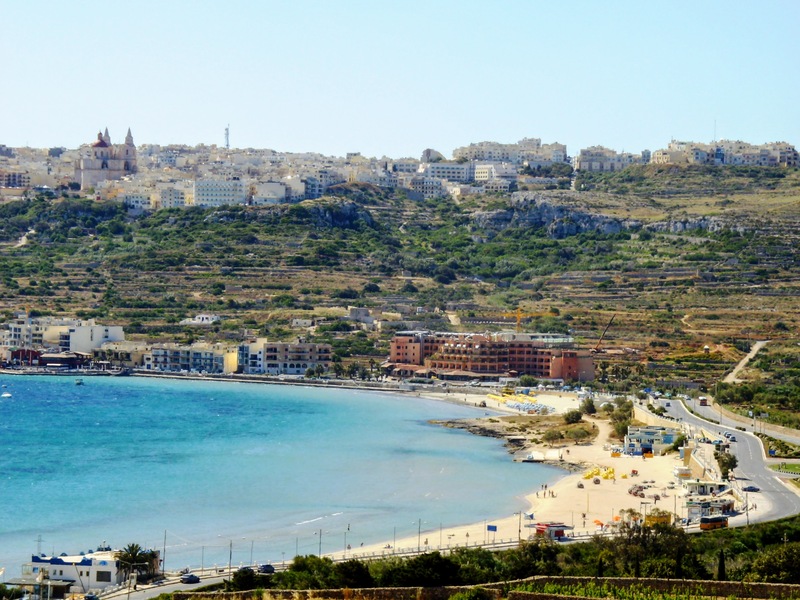 It offers big rooms with balconies facing the Mediterranean towards Gozo. 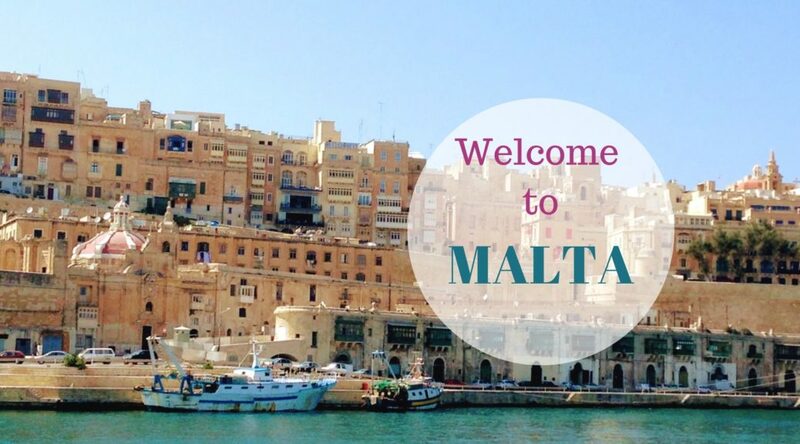 Mellieha can be reached in a few minutes by public bus. The bus stop is found 10 minutes walk from the hotel. 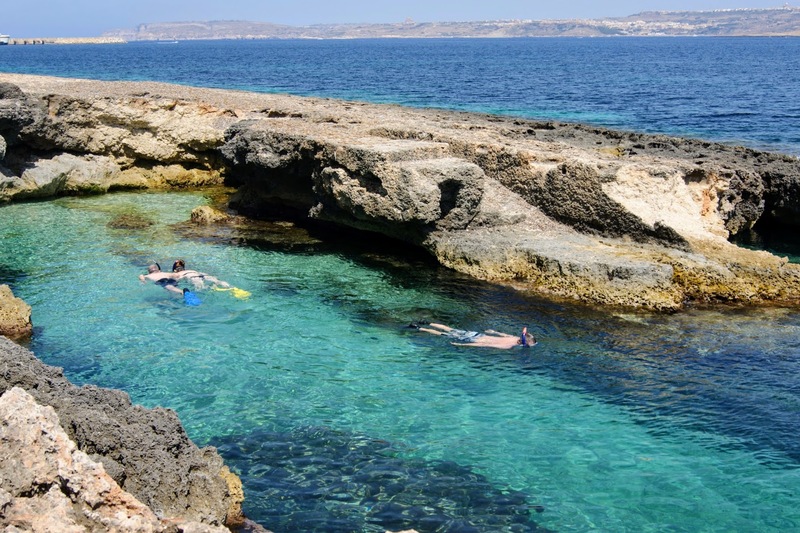 The hotel offers a wonderful private beach with good snorkelling and 3 swimming pools. The breakfast buffet is delicious with a large choice. The staff is nice and helpful. Hotel Maritime Antonine is located in the heart of Mellieha. It is situated on a hilltop and from the rooftop swimming pool, you have a fantastic view of the town and the countryside. 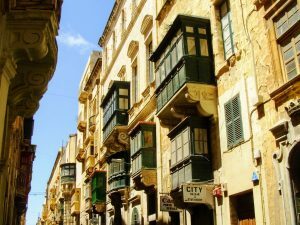 From the hotel, there is a downhill stroll to Malta’s longest sandy beach. It is possible to catch a bus directly from outside the hotel. The hotel rooms are large with comfy beds. Many of the rooms have balconies. The hotel offers 3 swimming pools. The breakfast is buffet style and can be eaten outside in the lovely garden. 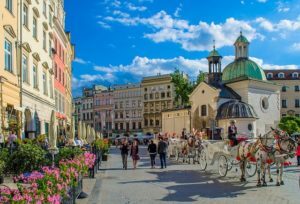 It takes approximately 30 minutes by car from Luga Airport to the hotel. 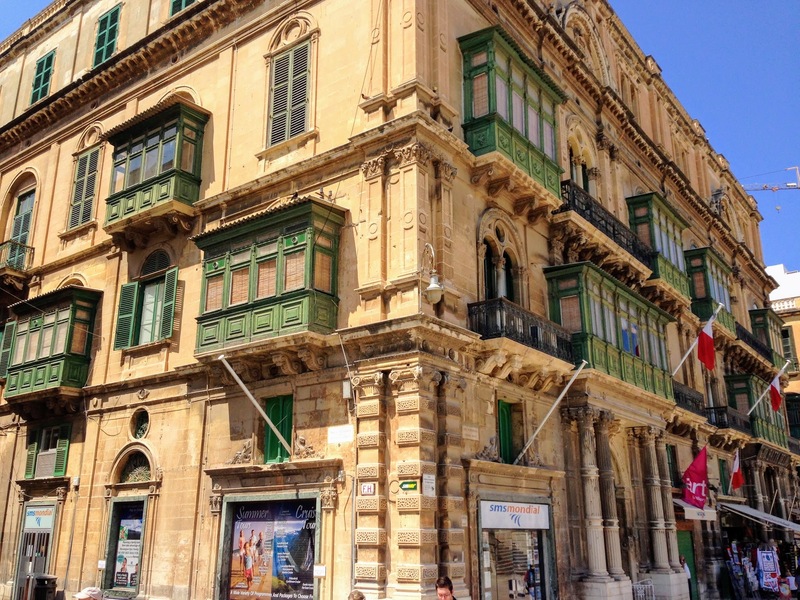 Hotel Fortina is located in the heart of Sliema. 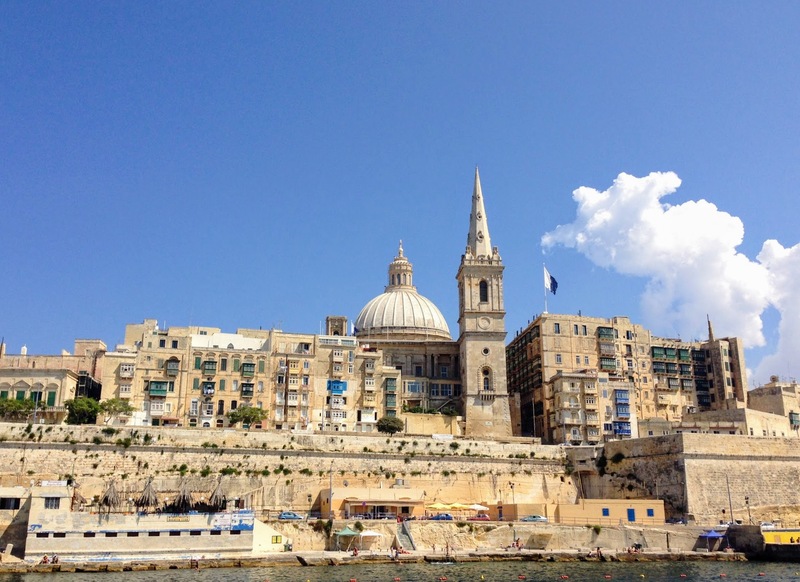 The hotel is located on the waterfront of Sliema and has great views of Valletta. The hotel offers several swimming pools. We especially loved the pool built on a platform in the water. From here you have a magnificent view towards Valletta and Manoel Island. 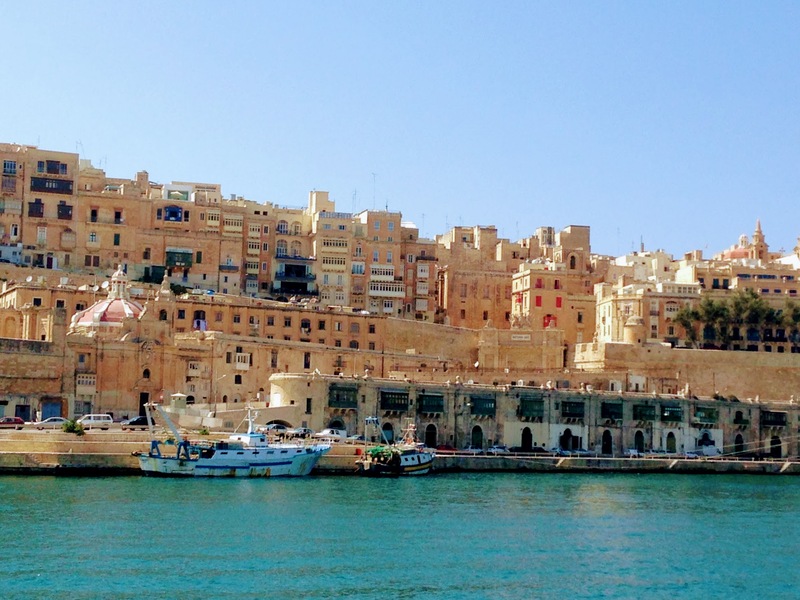 There is only a short walk from the hotel to the small ferries that will take you to Valletta within a few minutes. Rooms are huge but a bit charmless. They all have balconies overlooking the lush interior gardens. The breakfast buffet is ok and the staff is friendly and helpful.